Die Ware stammt aus rauchfreiem und Katzenhaar freiem Haushalt. Viel zu schade nur für den Schrank, außerdem brauche ich den Platz. Das übliche zum Schluss. SUPER RARE APPLE IPHONE TARIFF LEAFLET. NEW APPLE IPHONE 4 4TH GENERATION. THE RELEASE DATE WAS IN 2010. WHAT YOU SEE IN THE PHOTOS IS WHAT YOU WILL RECEIVE. SUPER RARE APPLE IPHONE TARIFF LEAFLET. APPLE IPHONE 4 4TH GENERATION - WHITE. THE RELEASE DATE WAS IN 2010. SUPER RARE APPLE IPHONE TARIFF LEAFLET. NEW APPLE IPHONE 4 4TH GENERATION - BLACK. THE RELEASE DATE WAS IN 2010. Comprehensive instruction manual for theSamsung Galaxy S5 SM-G900F, giving in depth guidance on the features and shortcuts of this amazing phone. Full Colour Print on every page.not just the front cover. ~PRINTED~ Nikon D7200 user guide instruction manual. A5 format. Strong steel ring bound for ease of page turn and lay flat reading. 'LET'S START' BOOK. ORIGINAL BOOK. Vereinzelt wurde Dinge reklamiert, die ich selbst bei einem neuen Produkt kaum als Mangel empfunden hätte. Wer allerdings saubere Kannten, ein glattes Deckblatt usw. wie bei einer frisch produzierten Ware erwartet, sollte. (29,5 X 22 pp. 226. (VEDI: LEGGI DI PUBBLICA SICUREZZA 18 GIUGNO 1931 N. 773 E ART. 247). IN VENDITA SOLO IN ITALIA. 7) Se vuoi ulteriori informazioni su un prodotto non esitare. riceverai il mio positivo. ~PRINTED~ Samsung Galaxy J6 user guide instruction manual FULL COLOUR . Comprehensive instruction manual for the Samsung Galaxy J6, giving in-depth guidance on the features and shortcuts of this phone. Nokia 7373. Manuale d'Uso e Manutenzione. Available in A4 or smaller handy A5. A comprehensive printed colour manual giving you all the information you need to succesfully operate your HTC Desire HD. HTC Desire HD. Full colour print. Gloss protective PVC front and strong card backed. Comprehensive instruction manual for the Samsung Galaxy J3, giving in-depth guidance on the features and shortcuts of this phone. ~PRINTED~ Samsung Galaxy J3 J330user guide instruction manual FULL COLOUR . Available in A4 or handy smaller A5. A comprehensive printed colour manual giving you all the information you need to succesfully operate your HTC Desire C. HTC Desire C. Full colour print. Gloss protective PVC front and strong card backed. Printed Dora 6520 Instruction Manual / User Guide Full Colour. Comprehensive instruction manual for the Dora 6520, giving in-depth guidance on the features and shortcuts of this phone. Full-Colour Print on every page.not just the front cover. Comprehensive instruction manual for the Samsung Galaxy J5 J500F, giving in depth guidance on the features and shortcuts of this brilliant phone. Full Colour Print on every page.not just the front cover. Comprehensive instruction manual for theSamsung Galaxy S6 SM-G925F, giving in depth guidance on the features and shortcuts of this amazing phone. 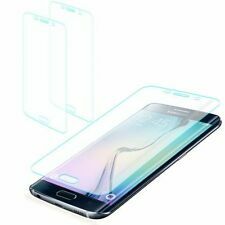 Printed Samsung Galaxy S6 Instruction Manual / User Guide SM-G925F Full Colour. Available in A4 or smaller handy A5. 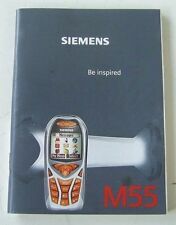 A comprehensive printed colour manual giving you all the information you need to succesfully operate your Samsumg Galaxy Y GT-S5360. Samsung Galaxy Y GT-S5360 User Guide. Available in A4 or smaller handy A5. A comprehensive printed colour manual giving you all the information you need to succesfully operate your Motorola e phone. Motorola Moto e. These new look manuals are now wire bound, making them much stronger, with a professional finish. ~PRINTED~ HTC M8 User guide Instruction manual A5. Available in A5 format. Full colour throughout manual. Upvc front cover and gloss effect card backing cover. Strong steel ring bound for ease of page turn and lay flat reading. Folks, it's as simple as that. The cardboard is in excellent condition, and the tamper-resistant seal is still intact. 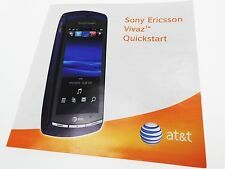 Includes internal phone tray, manuals, etc. Comprehensive instruction manual for the Samsung Galaxy S3 i9300, giving in depth guidance on the features and shortcuts of this phone. Full Colour Print on every page.not just the front cover. Its sooo much easier to see the instructions in colour. For iOS 6.1 software. Comb Bound for easy reading Available in A4 or smaller, handy A5. Full colour A4 print. A comprehensive printed colour manual giving you all the information you need to succesfully operate your iPhone. Bedienungsanleitung für ein Samsung Galaxy S4 mini GT-I9195 auf Spanisch. Die Bedienungsanleitung ist in einem sehr guten Zustand. Es wurde nichts hineingeschrieben und nichts unterstrichen. Sie stammt aus einem tierfreien Nichtraucherhaushalt. Comprehensive instruction manual for the Samsung Galaxy S4 Mini 9195, giving in depth guidance on the features and shortcuts of this brilliant phone. Available in A5 format. Full Colour Print on every page.not just the front cover. Comprehensive instruction manual for the Samsung Galaxy S8 S8 SM-G950, giving in-depth guidance on the features and shortcuts of this amazing phone. Printed Samsung Galaxy S8 S8 Instruction Manual / User Guide SM-G950 Full Colour. Available in A4 or smaller handy A5. FULL COLOUR. Full colour print. 240 micron gloss protective PVC front and Leather-Grain effect strong card back. These new look manuals are now wire bound, making them much stronger, with a professional finish. A comprehensive printed colour manual giving you all the information you need to succesfully operate your Nokia Lumia 520. Nokia Lumia 520 User Guide. Full colour print. 240 micron clear PVC front cover and luxury leathergrain effect card back cover . Available in A4 or smaller handy A5. Full colour print. 240 micron gloss protective PVC front and Leather-Grain effect strong card back. These new look manuals are now wire bound, making them much stronger, with a professional finish. A5 format. 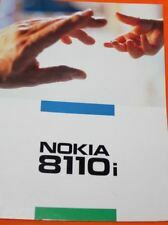 Comprehensive instruction manual for the Nokia 3, giving in-depth guidance on the features and shortcuts of this phone. 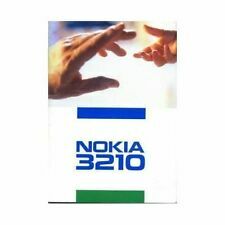 ~PRINTED~ Nokia 3 user guide instruction manual FULL COLOUR . Full-Colour Print on every page.not just the front cover. Now also available in handy A5 size. A comprehensive printed colour manual giving you all the information you need to succesfully operate your Blackberry Bold 9900/9930. Blackberry Bold 9900/9930. These new look manuals are now wire bound, making them much stronger, with a professional finish. MITSUBISHI MT-30. Manuale d'Uso / User's Manual. Pagine: 70 circa. Lingua: Italiano. Comprehensive instruction manual for theSamsung Galaxy S6 SM-G920F, giving in depth guidance on the features and shortcuts of this amazing phone. Full Colour Print on every page.not just the front cover. Available in A4 or handy A5 format. Comprehensive instruction manual for the Apple iPhone 6, giving in depth guidance on the features and shortcuts of this amazing phone. Full Colour Print on every page.not just the front cover. In tutte le valutazioni! Inoltre ricordiamo l'importanza delle valutazioni. Comprehensive instruction manual for the Samsung Galaxy S5 mini SM-G800F, giving in depth guidance on the features and shortcuts of this brilliant phone. Full Colour Print on every page.not just the front cover. The CD includes;. 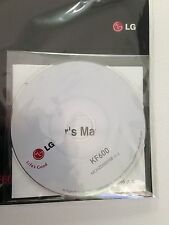 The CD is still sealed with a Product Key. MS Outlook 2002. Box only. Includes lightning cable and all inserts. Take a look at photos for more info. Google Nexus Q, RARE GOOGLE ITEM In Original Box Android TV!